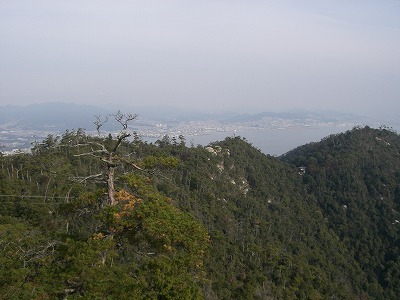 This is a ropeway view on the way to Shishi-iwa Station on Miyajima Island. 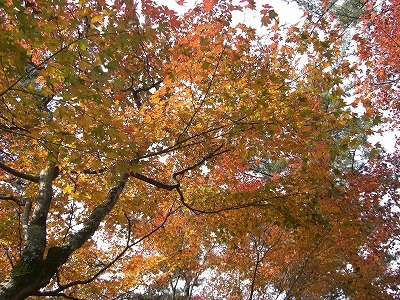 It takes about 20 minutes from Momiji-dani Station to Shishi-iwa. from Shishi-iwa to the summet on foot. 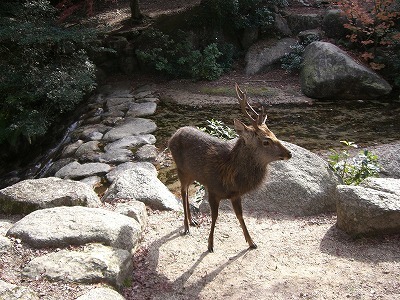 You can see wild deer here and there on Miyajima. 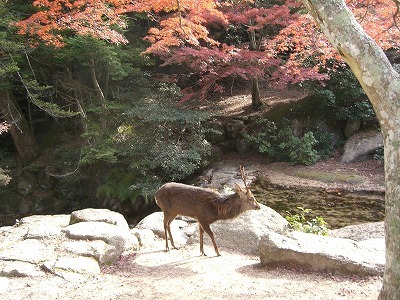 Miyajima is also famous for its autumn leaves. 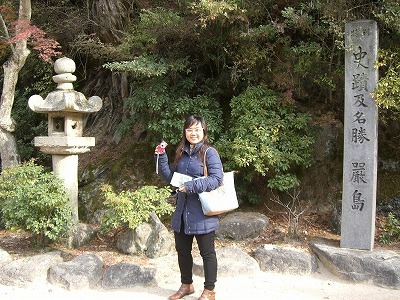 Miyajima is a place of historical interest as well as scenic beauty. This is a side road viewed from Hanamikoji street near Ken-nin-ji Temple. Ochaya on both sides of the road makes you feel like walking along it. is the night at Gion. Ochaya offers a Zashiki room where Geiko or Maiko girls entertain you. A helon is in the water of Shirakawa River in the middle of Kyoto. in the middle of the city with a population of about 1.5 million? I like this spot at Tatsumi-bashi. It is nice to walk along the Shirakawa River. Around Tatsumi-bashi you always find something interesting such as this picture. Yes, I have come across a pretty lady at the Tatsumi-bashi. I love Gion area in Kyoto. 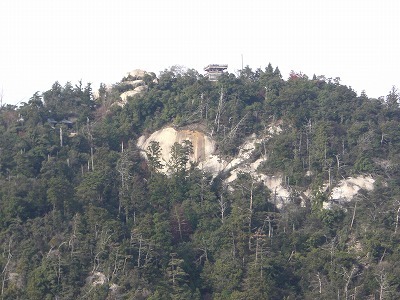 The Shimanto is the longest river in Shikoku: 196kilometers. This is the middle reaches of the Shimanto with a clear stream. This river is rich in fish, shrimp and nori: a kind of edible river weed. You can enjoy going down in canoes. You can enjoy different kinds of views along the river. bridges for local people around here.